❤Dimensions: 23*27*4cm（9.06*10.63*1.57inch），Adjustable nice shoulder straps :80-144cm（31.5-56.59inch，can easy hold within 10.5inch ipad,The size is measured according to object,（Please compare carefully with the model photo and size before buying）. ❤Details：(1).stainless brand customized metal hardware. (2)adjustable high density knitted belt. (3)neat and clear thread sewed by experienced worker. ❤Individual interior pockets for smartphone, misc items, Ideal for your boyfriend, husband, father and son. 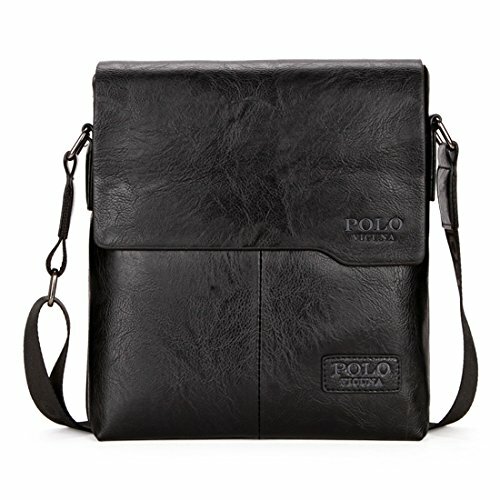 "VICUNA POLO " holds federal trademark registrations in the United States.We focus on providing the mens bag which can meet your daily needs，any questions about the product please feel free to contact me. If you have any questions about this product by VICUNA POLO, contact us by completing and submitting the form below. If you are looking for a specif part number, please include it with your message.